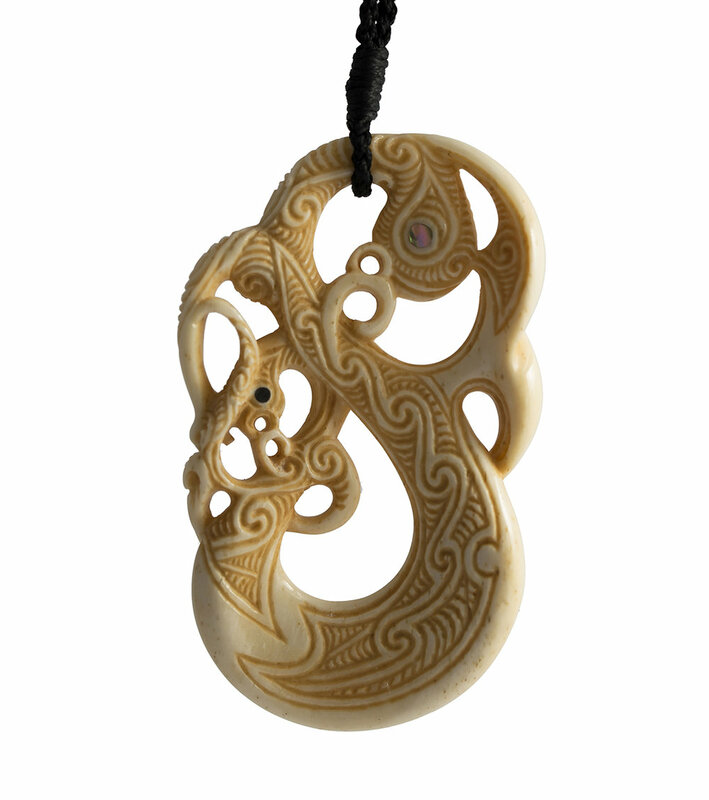 A Manaia is a symbol of spiritual protection and brings good luck. This Mania is covered in Koru and other specific markings. This represents the Mana of Te Kore flowing through and pervading the whole body of this Manaia. The design incorporates two Manaia. A larger protector Manaia who is united with the smaller Manaia. This has different meanings on many levels. It is symbolic of our spiritual guides all encompassing protection and love. Also, the love and protection offered by our caregivers, parents and loved ones. On another level it represents the protection we offer ourselves (i.e. our higher-self, conscience, spirit, ultimate mind, Buddha nature), through taking correct actions and making wise choices we find peace growing in our heart day by day. The eye of the larger Manaia is an inlay of Paua Shell (abalone). This is symbolic of strong power, wisdom and high status, thus attracting good fortune where ever we go. The eye of the smaller Manaia is Buffalo horn. This symbolises strength and protection. This strength is not just our own normal strength that we rely on individually, but comes from reliance and faith in powers greater than what our own individual selves has to offer. 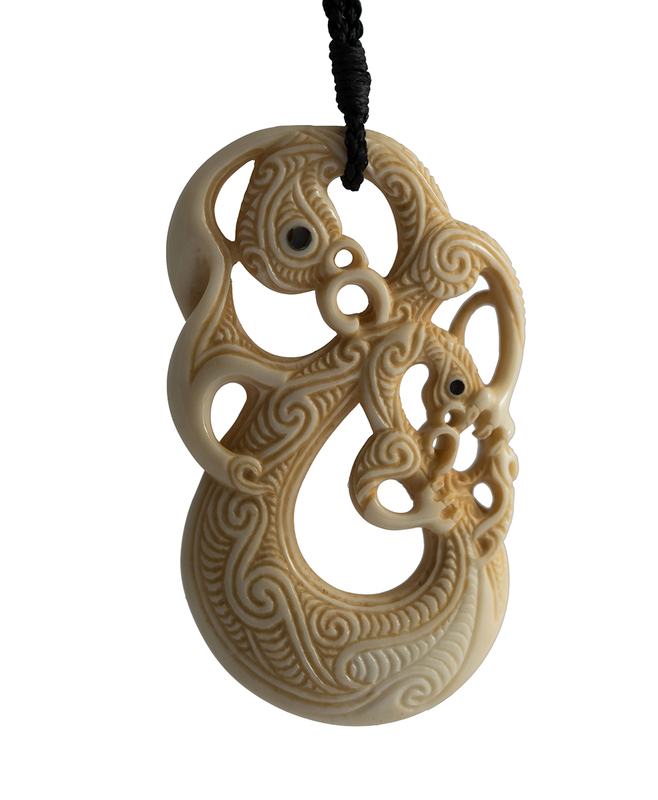 We are all interconnected and this is symbolised by the seamless in-distinction (connection) between the two Manaia. The smaller Manaia also has a sword which is offering further protection from harm and is 'Hooked' on to the arm of it's helper. There are many more meanings hidden within the symbols and structure of this special carving. Overall this carving is imbued with strong protection from spiritual harm, and attracts the energies of love and good fortune.